50 Steps to Improving Your Academic Writing 50 Steps to Improving Your Academic Writing addresses the challenges facing every student beginning a program of academic study. This comprehensive guide gives you everything you need to write well-constructed academic essays. * how to avoid plagiarism 50 Steps has been developed to mirror best practice in academic essay writing: researching, planning, writing and then proofreading an essay. Multiple entry points allow you either to work through the book in chronological order or to dip in and out depending on your needs. The book contains a detailed answer key, a full glossary of terms, plus comprehensive reference material that provides study templates and useful hyperlinks, as well as additional examples and information about academic writing. 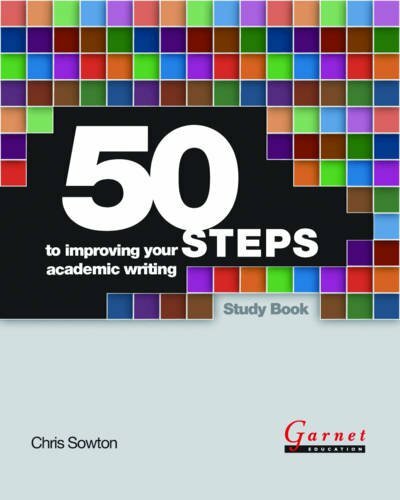 Chris Sowton, author of 50 Steps to Improving Your Academic Writing, answers your essay-writing questions here!